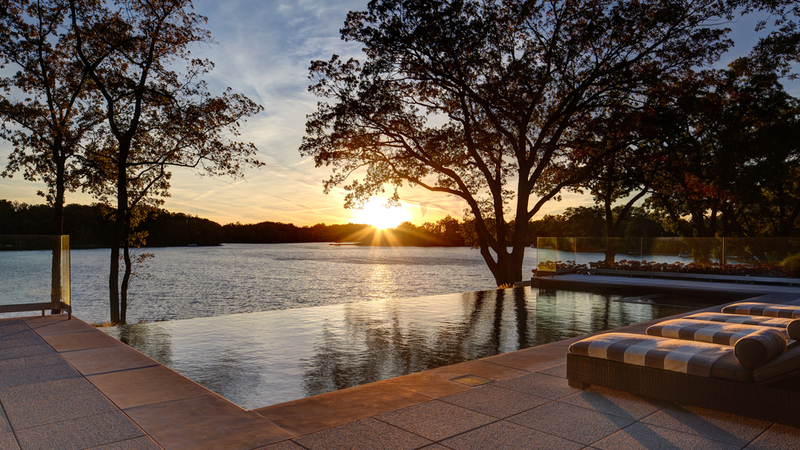 This sprawling contemporary home sits on top of a knoll with a lake view. A stone entry wall and stainless steel gate is seated within mature spruce trees and designed to integrate with the topography. The sinuous driveway travels through graceful landforms that are strategically planted to buffer off-site views. 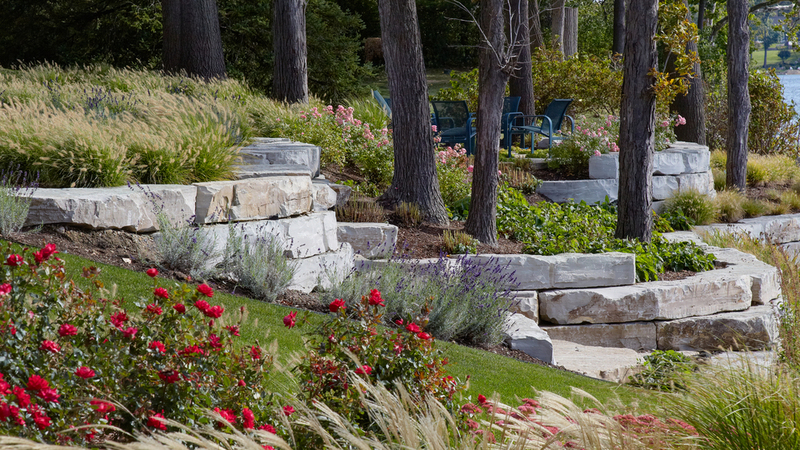 Natural stone terracing facilitates a graceful staircase to transition to the lower level rear yard. The infinity-edge swimming pool magnifies the drama and beauty of the lake view with each changing season.